Titan announced a scintillating offer this Akshaya Tritya season under the Nebula range of solid Gold watches. 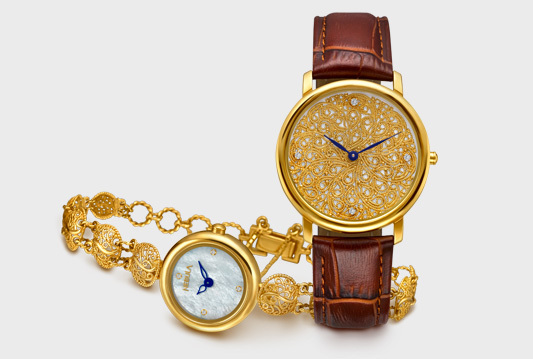 The consumers were invited to bring home good fortune with these exquisite watches set in 18k and 22k solid Gold. With elegant designs, Nebula watches blend the rich heritage of Indian jewellery-making and the fine craftsmanship of watchmaking. These watches bring to life Indian grandeur, celebrating the rich art and architecture of a resplendent past. Marking the auspicious season, Nebula offered up to 20% off from 1st April to 22nd April, 2018. These highly design differentiated watches leave one spoilt for choice. The highlights for this season include the Filigree, Precious Stones, Calligraphy, Nazakat (Kundan Polki) and Ashoka Maurya collections.